See more Wool Mini and short dresses. We check over 450 stores daily and we last saw this product for $250 at Saks Fifth Avenue. 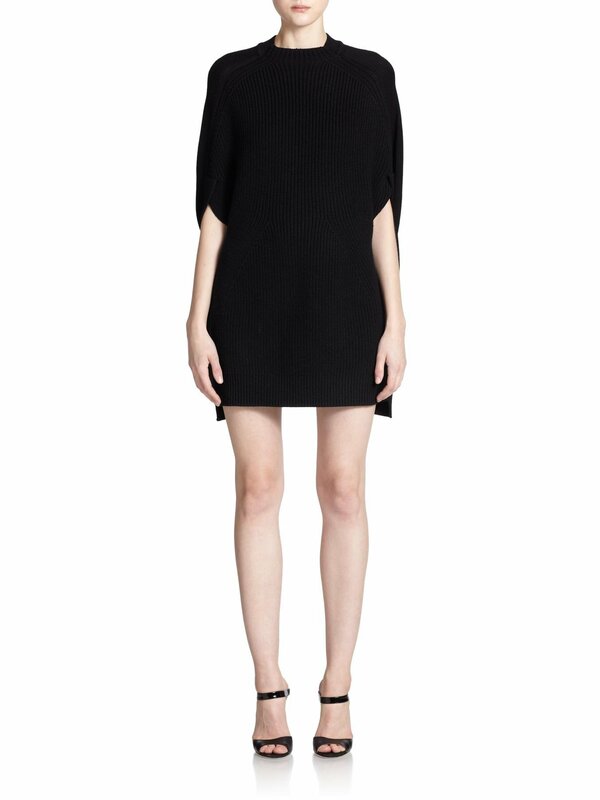 Up your style credentials in an instant with this knitted black dress by McQ by Alexander McQueen. Crafted from wool, this ribbed dress is enhanced with a cool, loose-fit cape-style silhouette. Ideal for day-to-dark wear, style yours with over-the-knee boots and a felt fedora for new season style.